While I'm usually on time to appointments and meetings, I am usually very late to the party when it comes to trends. I just bought a pair of ankle boots, which I know have been "in" for a long while now and they still scare me. Bible journaling is another party I'm just getting to and again it is a bit overwhelming. I am not an artist. I don't have cute handwriting. I'm not very creative when it comes to taking a Bible verse and turning it into a cute doodle. And although I did get sucked into the Pinterest world of looking at other people's awe-inspiring Bible doodles for a few too many minutes - to copy what someone else did just feels weird to me. Regardless, I started 2017 with some gel pens and an ESV devotional Bible I bought a while ago (since it doesn't have any notes - just occasional pages of devotional writing - but if I were to buy a new one, I'd probably get this one) and figured I would just doodle, underline, and draw some brackets or arrows. It isn't going to land me on any buzzfeed articles but I have really enjoyed doing it. It's simple but helps me stay focused. It also is a nice way (even only a few days in to the year at this point) to see what I've read. As a mom, my kids see everything I do. I'm glad they see me reading my Bible. Of course then, just a few days into my new experiment, Lucy (my six year old) wanted to "draw" in her Bible too. I obviously didn't want to discourage her from enjoying her Bible but I also didn't want her nice Bible (a simple non-kids ESV version with her name engraved) to be un-readable. So, I told her she could underline every verse she memorized. I'm thinking I must have heard of this idea from somewhere a long time ago, but I was so glad I remembered it when I did! As a kindergartner, she is at the "emerging reader" stage. She knows lots of phonetic rules and site words but still needs help with her confidence as she reads longer sentences. This is a great age to really increase our amount of Bible memorization because she'll be working on both hiding God's Word in her heart while she's also working on her reading skills. It's been fun so far to see her desire to memorize verses and really know them and then see her excitement as she underlines them in her Bible. Even if she doesn't remember them exactly later, she'll have this Bible to look back on as she flips through the pages to see what she's underlined. A lot of the verse she'll be underlining will come from verses she's already memorized from one of our favorite books - My ABC Bible Verses: Hiding God's Word in Little Hearts by Susan Hunt. 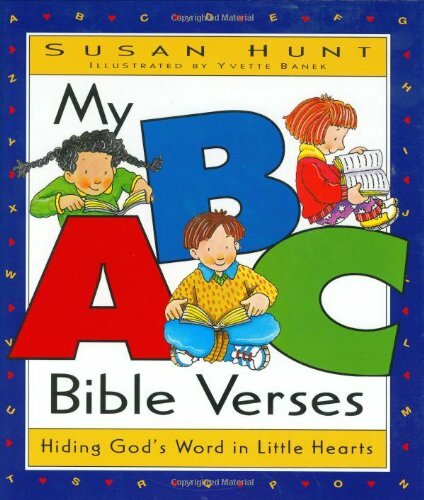 If you are looking for a book to get good Toddler and Younger Elementary Bible verses for memorization, this is a MUST. The stories are extremely relevant for little kids and the Bible verses are extremely edifying for moms dealing with kids day in and day out too! Head over to Our Family For His Glory to get the free download of ALL the verses! If you're looking for more to add to your time with that book, I highly recommend checking out this free resource from Jessica over at Our Family for His Glory. 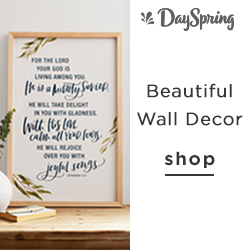 She put together a free printable for every verse! A simple but effective verse your kids can color, cut, glue or tape together that emphasizes each letter in the book. We've used it for some of the verses and really like it! Head over there to print it for free! I so appreciate her doing that and sharing it! I'll keep you updated and let you know how the Bible "journaling" goes for us. Let me know below if you Bible journal and if or how your kids write in their Bibles!